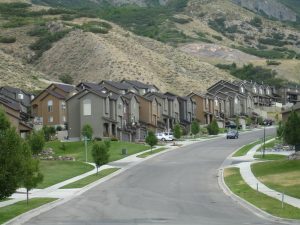 The City of Cedar Hills maintains approximately 30 miles of roads, public trails, and government building parking lots. These areas are maintained for road repairs and snow removal by the Public Works Department. Service is provided 24 hours a day, seven days a week. After-hours service is limited, unless a snow emergency is declared. The City staff is committed to provide safe conditions for City residents. Pavement maintenance is a vital process in the City’s street management program. The City evaluates each road every three years. The evaluation identifies road surface deficiencies and establishes the residual surface life (RSL). The City has a policy to maintain streets at an average RSL of 12 years, according to GASB 34 requirements. The evaluation and RSL components define the type and timing of street improvements, including surface rejuvenation, patching, and replacement. Road Surface Maintenance More Information. The city has addressed several calls regarding rocks and gravel on Canyon Road, SR-146, at the mouth of American Fork Canyon. The road, shoulder, right of way, and slope (from which the rocks fall) are owned and maintained by Utah County. It is the responsibility of the County to clear the road. If you see an issue, please call the Utah County Public Works Deparpartment, or you may call the Cedar Hills city office. Anyone planning to cut into the road must complete a Street Cut Permit and have it approved and signed by the City Engineer prior to commencing work. Download a Street Cut and/or Excavation Permit.